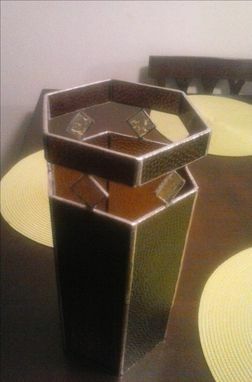 This beautiful, six-sided vase was hand-crafted using textured brown art glass with a wine undertone. 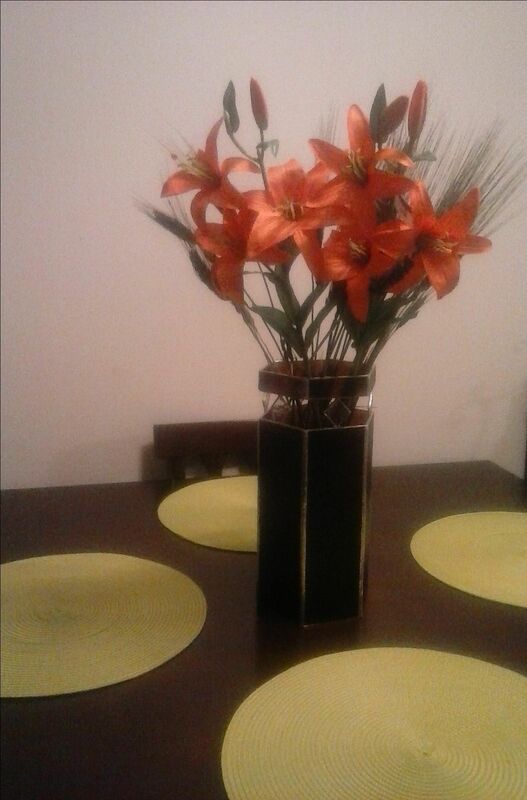 The design is simple, but makes a statement and looks great as a centerpiece. 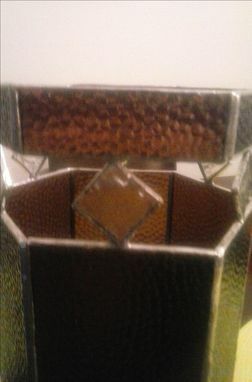 Clear, rippled diamond accents give it a little flair. 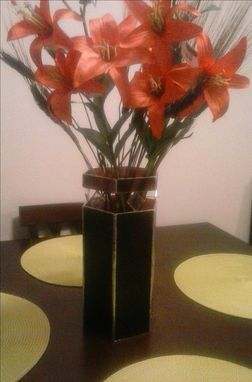 This piece can be purchased as is, or can be custom ordered in the color(s) and size of your choice. 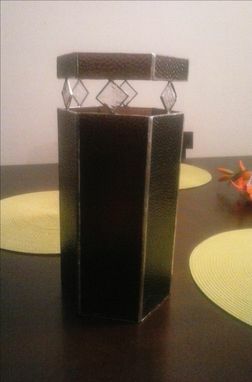 The vase pictured is 12.5" tall and 6.25" wide. Flowers are not included.